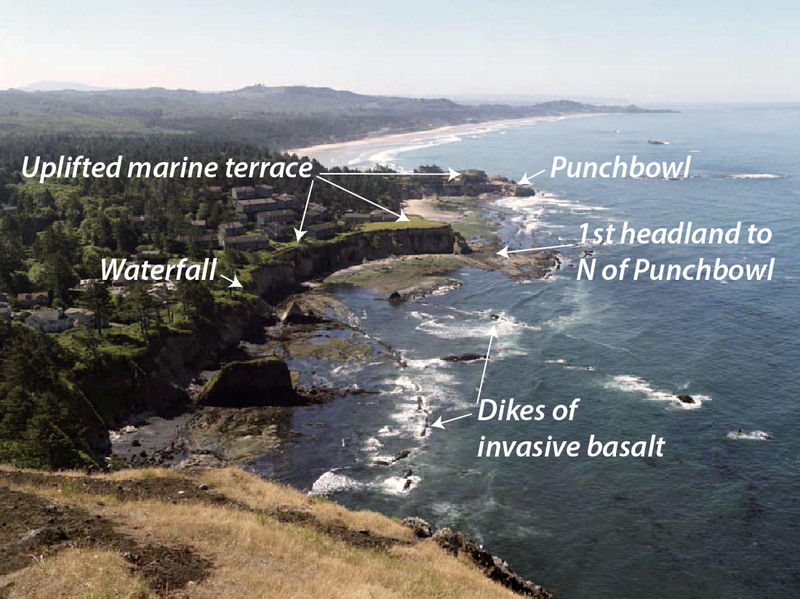 You could teach a geology course at Devil’s Punchbowl, a state park just north of Newport, Oregon. 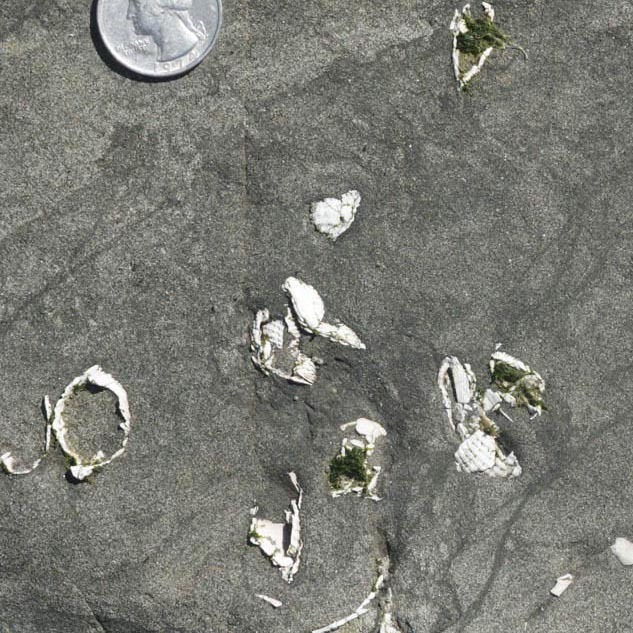 Along this half-mile stretch of beach and rocky tidepools, you see tilted sedimentary rocks, normal faults, an angular unconformity beneath an uplifted marine terrace, invasive lava flows, and of course amazing erosional features typical of Oregon’s spectacular coastline. And every one of these features tells a story. You can click on any of the images below to see them at a larger size. View southward from Cape Foulweather to the Devil’s Punchbowl.